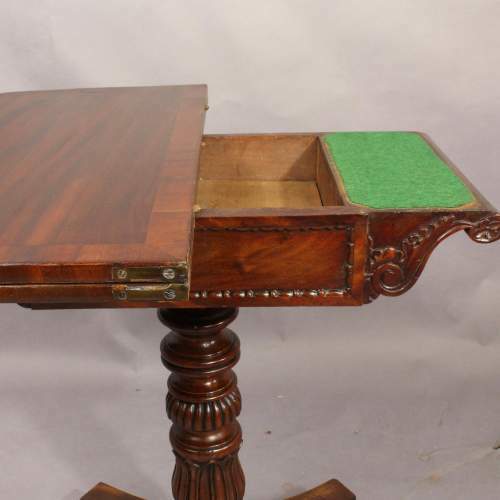 Regency tea table of unusually small proportions. 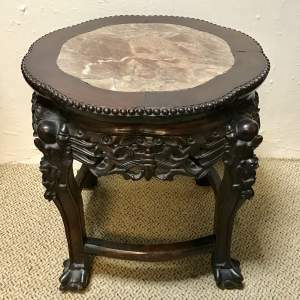 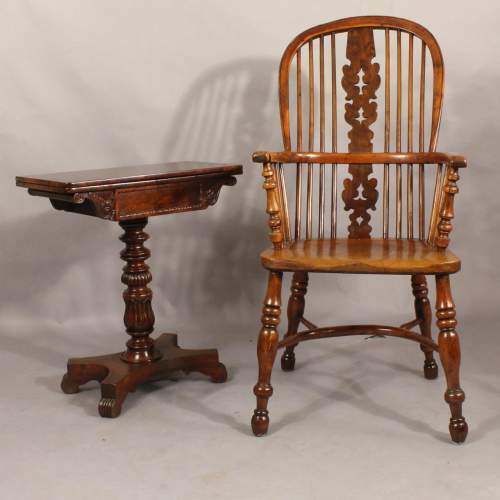 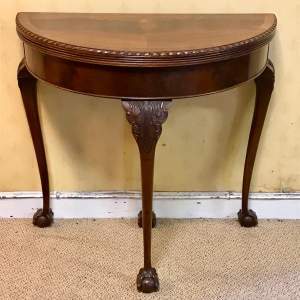 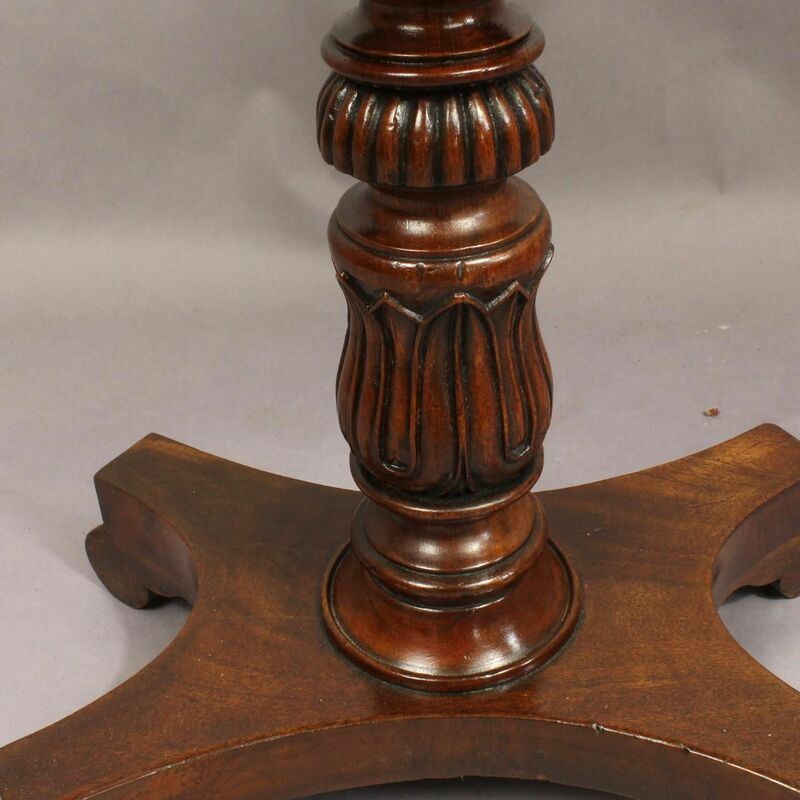 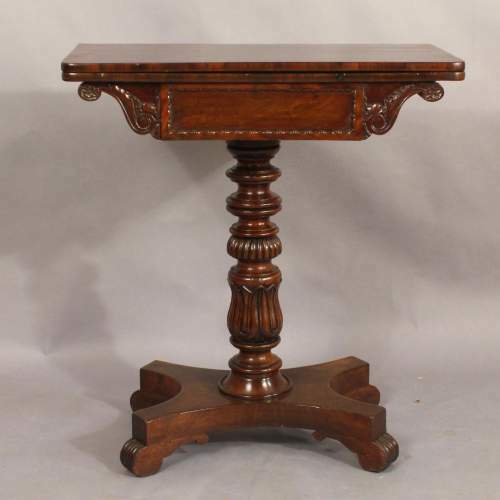 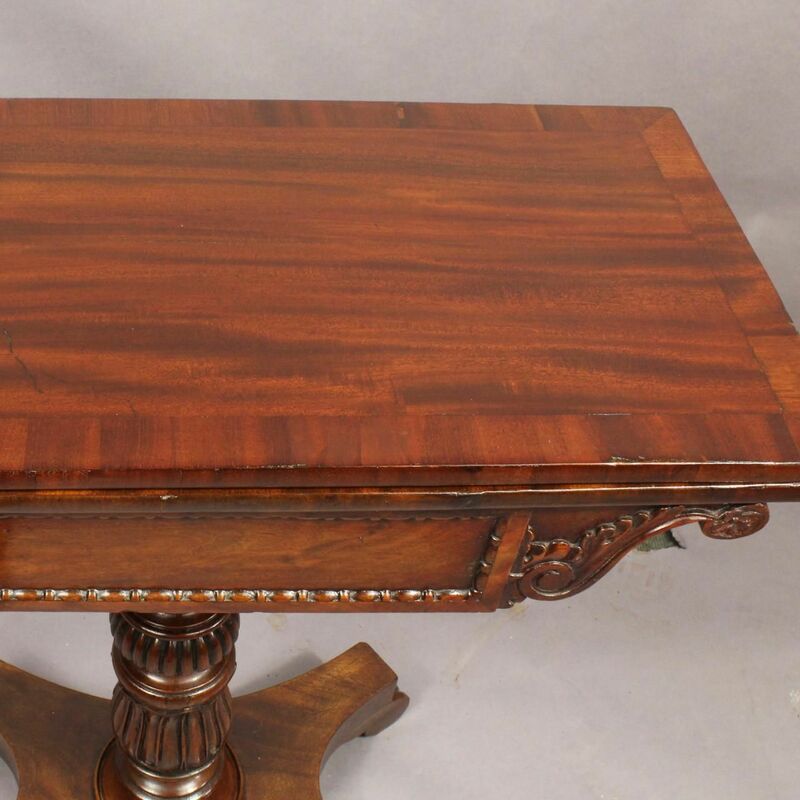 Unusually small regency mahogany tea table. 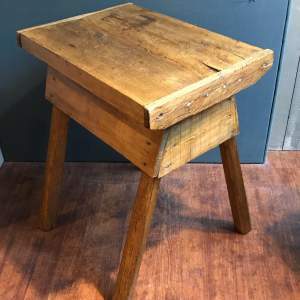 Crossbanded top. 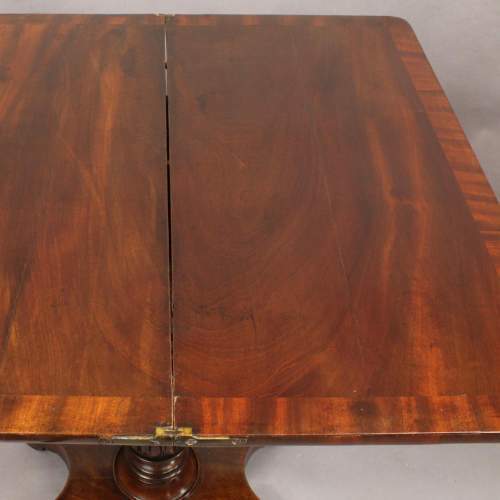 opening to a similarly crossbanded interior. Carved stem over a four corner base.